Tina Fey on NBC's '30 Rock.' Here, her character, Liz Lemon, is dressed as Princess Leia. A slew of celebrities and fans alike have shared public reflections on the life and career of actress Carrie Fisher following her Dec. 27 death at the age of 60. Among them is Upper Darby-native Tina Fey, who has been a noted fan of Fisher’s work, particularly Fisher's iconic role as Princess Leia in "Star Wars." Fey’s devotion to Fisher was made evident in several episodes of her sitcom "30 Rock." 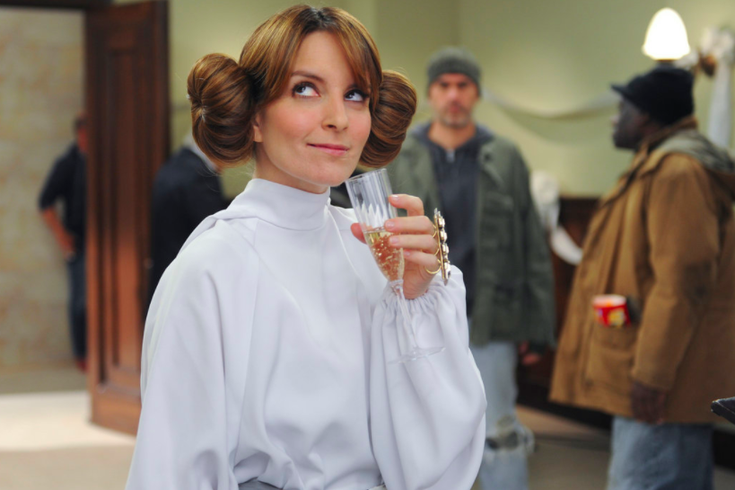 Fey's character, Liz Lemon, dressed the part of Princess Leia, including donning the signature hairstyle, in two episodes. Fisher herself also appeared in a guest role on the sitcom's second season, playing the part of Lemon's childhood idol Rosemary Howard. The role earned Fisher an Emmy nomination.